The key to planning for small group instruction in the upper elementary grades is backwards planning. 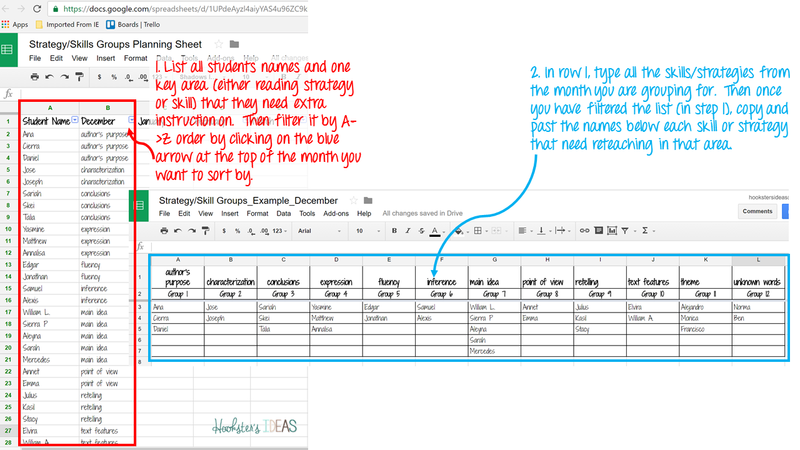 This is how I make and plan for flexible groups without getting overwhelmed! Each school and district requires you to use different data to form your groups, so how to collect this information is not going to be discussed in this post in detail. However, if you have the freedom to choose how you collect data, I highly recommend using the DRA (Developmental Reading Assessment) for making reading groups. This assessment is lengthy to administer, but gives you good data (typically I only give it twice a year-beginning and end). They have also developed a progress monitoring tool that I have used and find equally effective without consuming as much time in the administration of the assessment. I usually administer this when I feel students need to move reading levels and need proof that my gut was right! However you make your groups, I insist that you have some kind of data to back up your decisions. As an interventionist and instructional coach, what you have to say is much more credible if you have data to support your choices with students who are below grade level. Making flexible groups can take many forms. You can base it on reading level or on common strategies/skills that students need re-teaching on. The latter is more flexible than the first way, but also can be more daunting to keep up with. 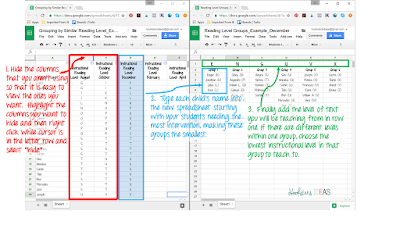 If you are new to guided reading or small group instruction, I highly recommend starting out with grouping by reading level and then try to throw in a few strategy groups as the year moves on and you become more comfortable. 1. 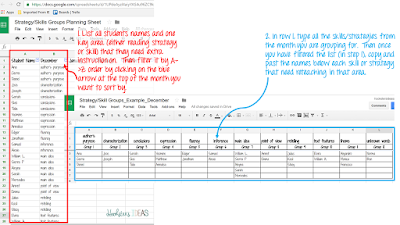 Make a list of all students in your class in Excel or Google Sheets with reading data inputted. Grab this example here and just delete the example data. 2. Once you have sorted your list, start looking for trends. How many students do you have in each reading level? What levels could be grouped together? Is ____ a high S and should be grouped with the higher T group if room. I use a simple sorting sheet like this to keep in my reading notebook. I like to use digital one like this to be able to cut and paste and erase/move freely. I am more of a digital person, but this could easily be printed and filled in by hand. Get this spreadsheet here and delete the example data. 1. Identify the strategies that you need to reteach based on data. This can be done in any number of ways using any number of methods of data collection. You can use benchmark data or common trends you saw while giving a running record. For example, maybe you notice that a group of 5 or 6 students don't know how to use prefixes to determine the meaning of unknown words. Or maybe you noticed that 3 or 4 students need help summarizing or making inferences. Regardless of their reading level, you can put them into a group and reteach that strategy or skill that they are lacking using a text of your choice. To form your groups, I would use the following two spreadsheets. The process is very similar to that mentioned above, except this time you are noting a trend in either skill or reading strategy. If you aren't sure what strategies your students should know, you may want to reference a very favorite book of mine called The Reading Strategies Book by Jennifer Serravallo. 2. Make groups based on similar needs. First, make the list of students and strategies or skills that need re-teaching. Click here to get the first spreadsheet. Then filter that list by alphabetical order. 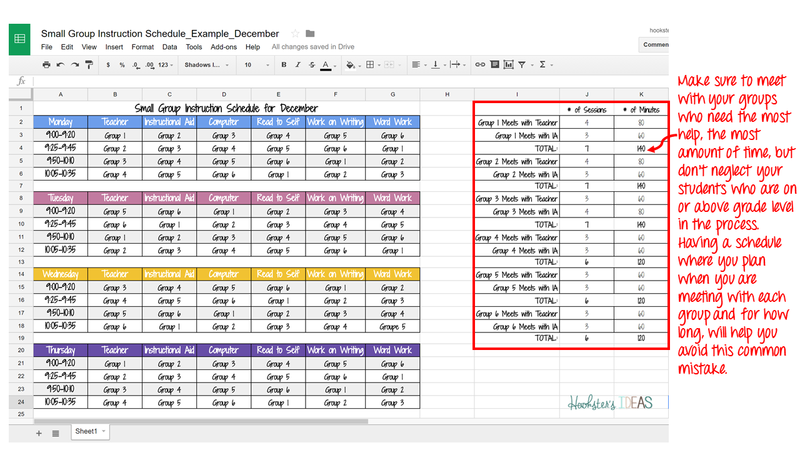 Then make your strategy/skill groups based on similar needs in this spreadsheet. 1. Determine the amount of time you have to pull small groups. How long is your intervention block? How much time do you have your assistant for? Does a special education teacher push-in and can they pull a small group? If you only have two students who need re-teaching on a certain thing, can you send them to your partner teacher who also has a couple students who need more instruction on the same topic so that it makes a whole group? 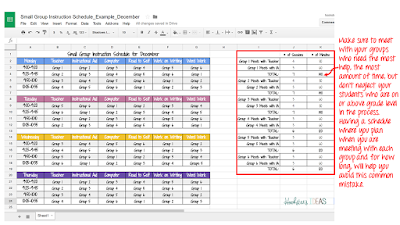 Scheduling can be a nightmare, but with a little tinkering and creativity, you can do it! Here is an editable schedule that you can use with your class. 2. Determine what workstations the other students will work on while you pull small groups. A great reference for getting started on workstations is The Daily Five by Gail Boushey and Joan Moser. Once you have your groups ready, you are all set to start planning what you will teach in each of these groups. I also recommend using Google Drive for this and I will discuss this in a post later this month. 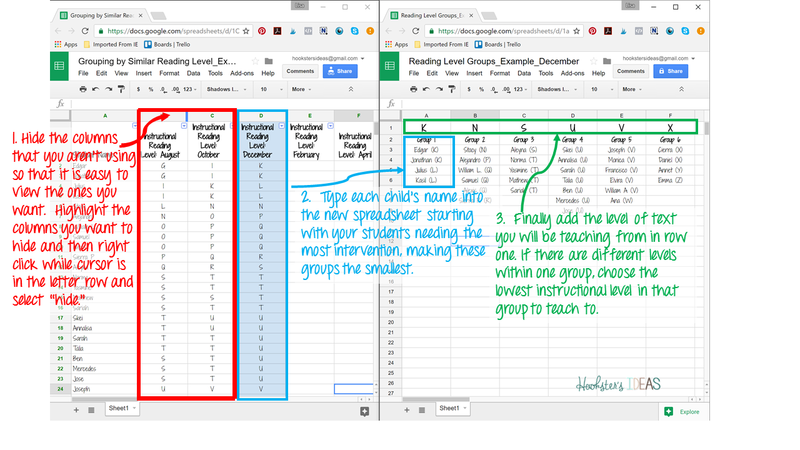 Comment below with your thoughts on this method of making groups for small group instruction. How do you do it? Share your thoughts below!